I was taught that a simple intradermal injection of local could eliminate scar pains. Now it is becoming clearer that repeated injections are often needed and the addition of cortisone is often necessary for results. 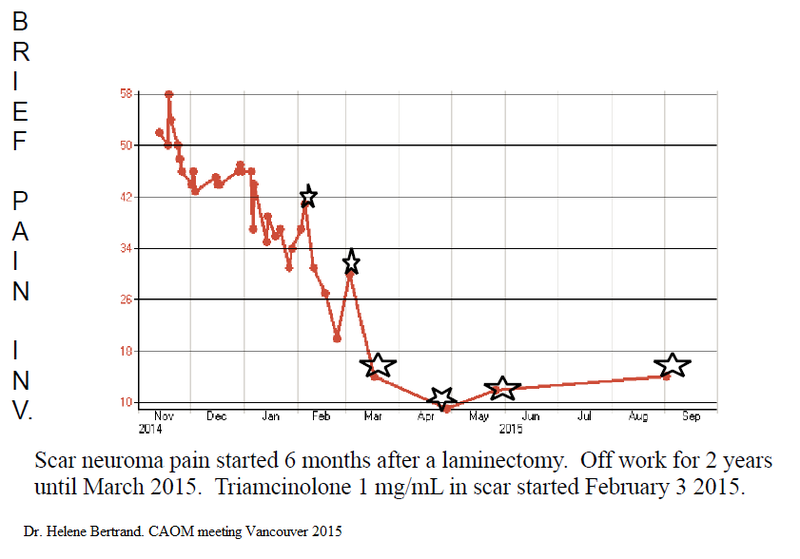 case of scar pain post laminectomy. You can see little effect from repeated non-steroid injections but gradual improvements with. This entry was posted in Injection, skin. Bookmark the permalink.